Scotland international goalkeeper trains with Hearts after saying no to Parkhead move. 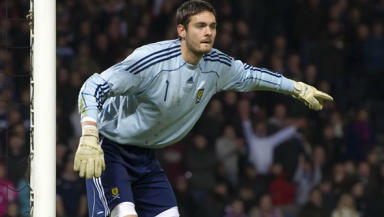 Scotland international goalkeeper Craig Gordon has knocked back a deal with SPL champions Celtic. The 29-year-old stopper was offered a three-year-deal to join Neil Lennon’s side last week but he will now turn his attention elsewhere after deciding against accepting the contract. The 40 times capped keeper, who joined Sunderland in 2007 for a British record £9m, is currently a free agent and will now explore options in England and abroad. 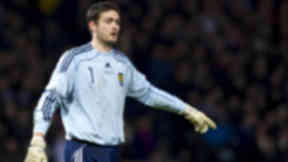 Neil Lennon is a long-time admirer of the stopper, who won the Scottish Cup with Hearts in 2006. However the Parkhead boss has now signed up former loanee Fraser Forster on a permanent deal from Newcastle United to take the number one jersey. Meanwhile Gordon is training with his former club Hearts during pre-season. The Tynecastle club offered their ex-captain to train at their facilities in the capital while he searches for a new deal.